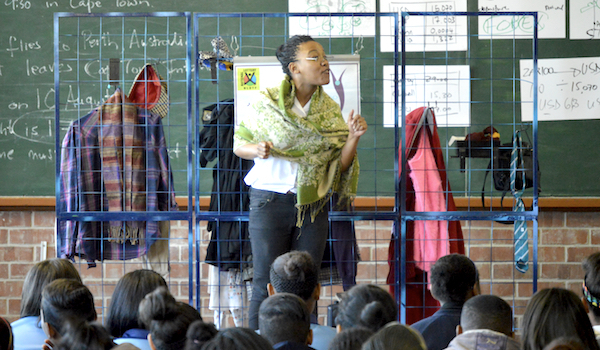 Working in South Africa since 1987, arepp:Theatre for Life creates high quality Applied Theatre productions to provide complementary social life-skills education to school-going learners, enabling informed choice and developing self-efficacy and resilience. The arepp:Theatre for Life Trust is a human rights-based, democratic, non-sexist, non-racist, non-profit educational organisation, whose beneficiaries are the young people in South African schools who constitute the trust’s audiences. “ Learners had visual and auditory exposure to understanding their rights.